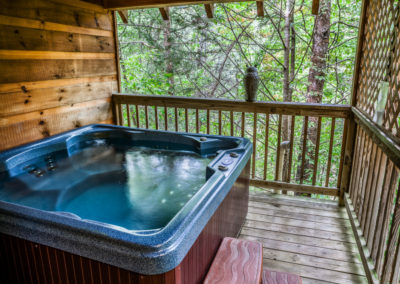 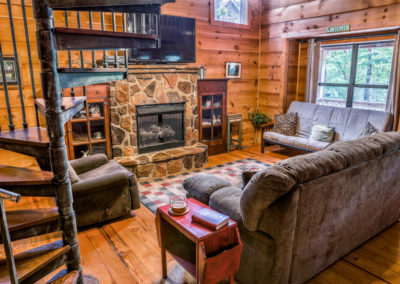 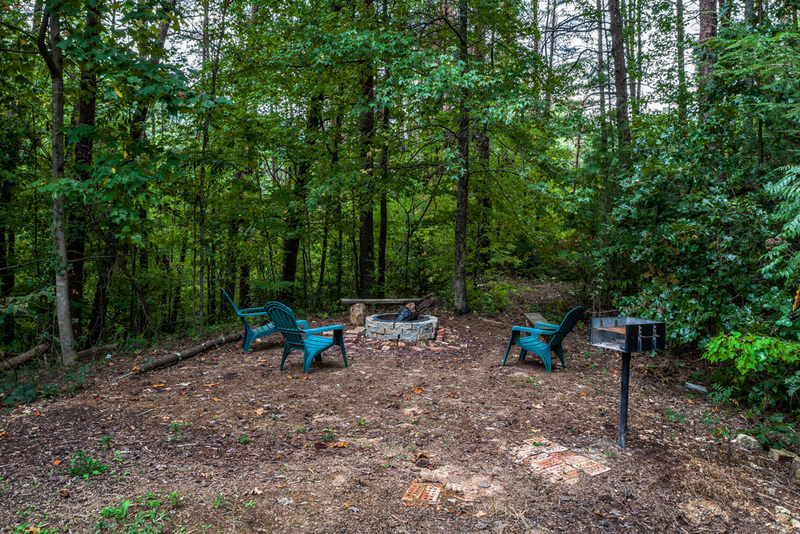 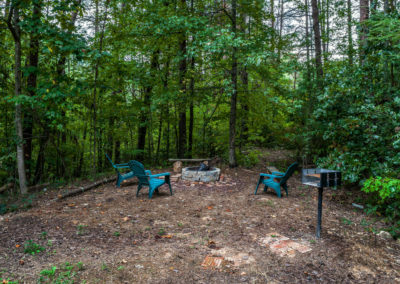 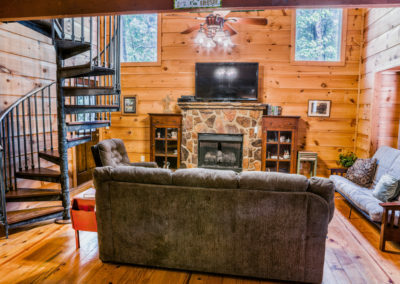 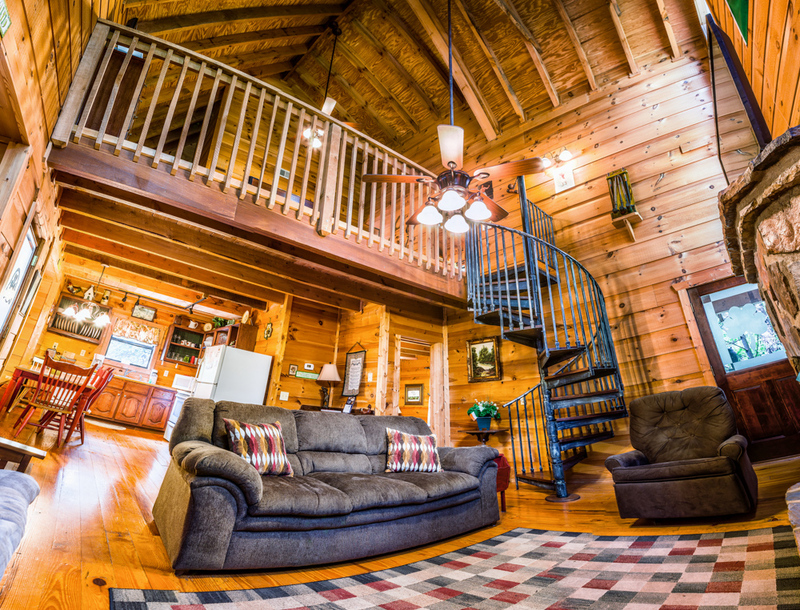 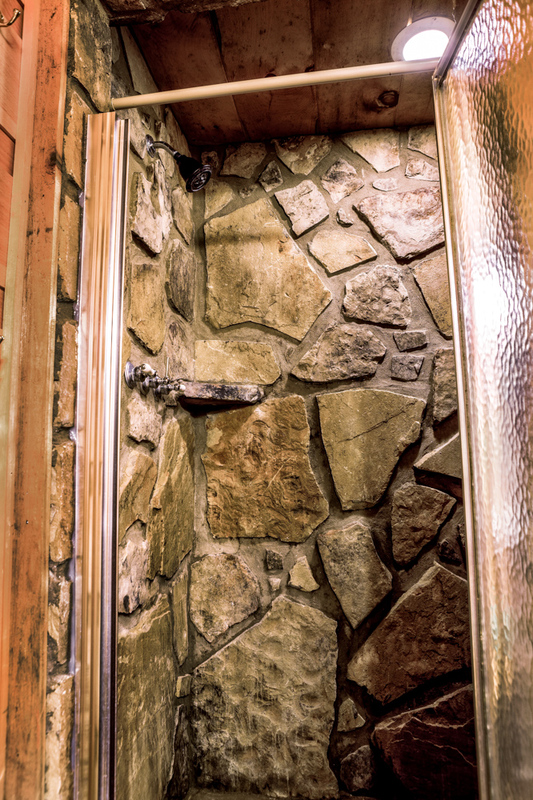 Three Bedroom Cabin near Dollywood, With A Fire Pit And Hot Tub. 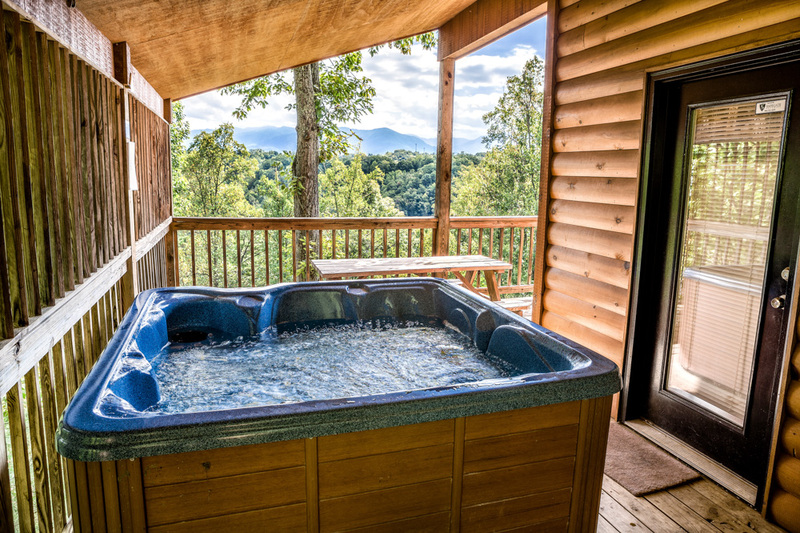 Location: Located only 1 mile from the Pigeon Forge strip at Red Light #10, Pigeon Forge, close to Gatlinburg. 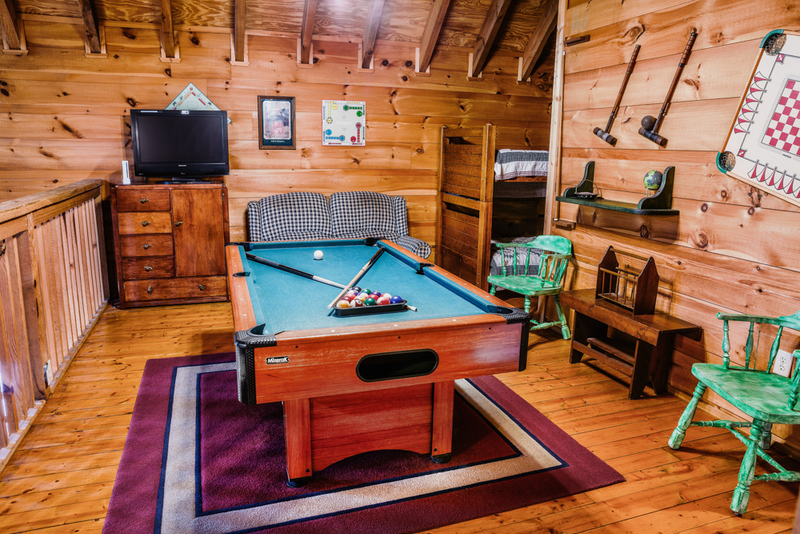 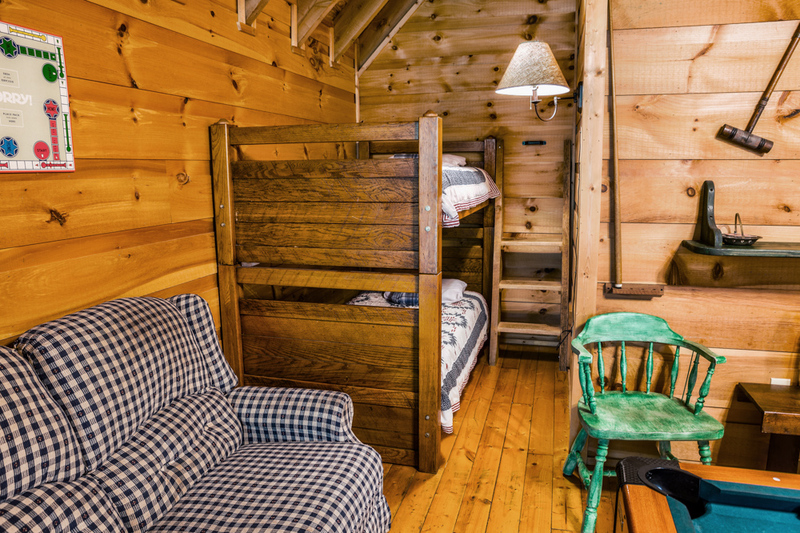 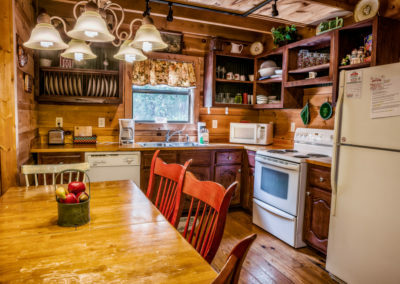 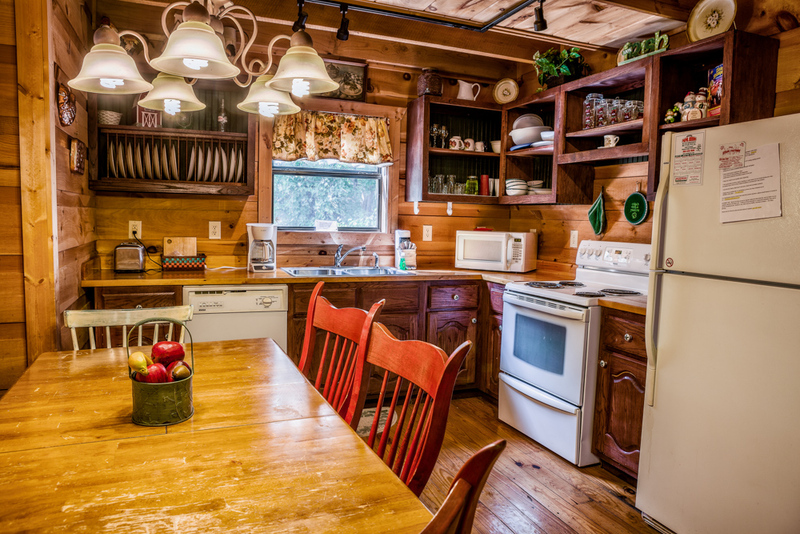 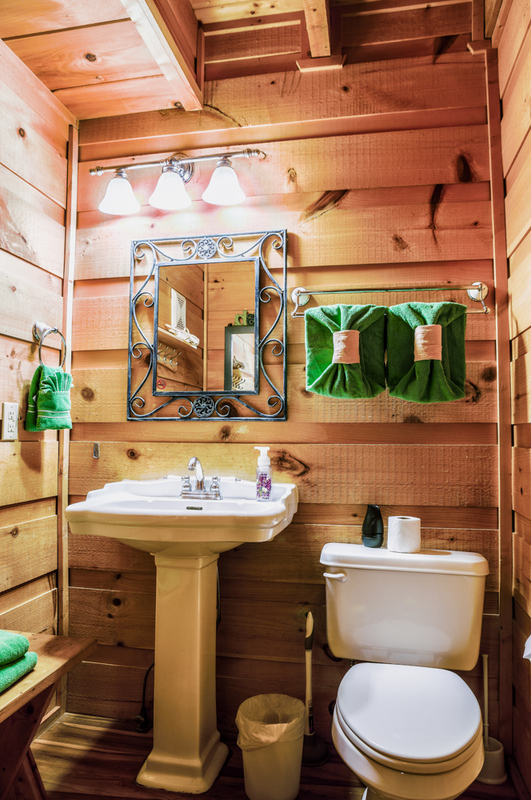 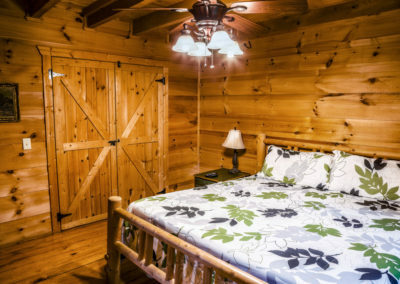 The Bonnie Lass is a full size, family cabin, located in a quite, mountain setting. 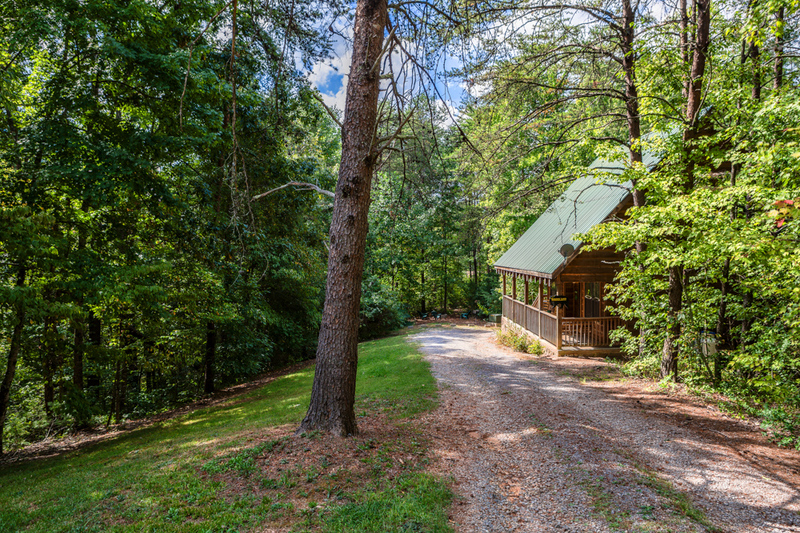 Sitting at the end of a dead end road, this cabin backs up to the pulsh forest. 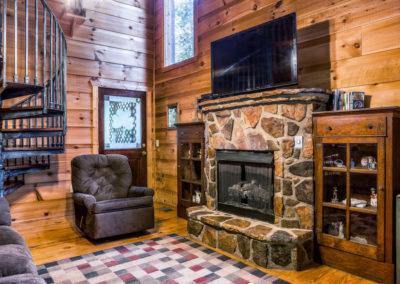 If you are looking for a real mountain feel cabin, but don’t want ot be to far from the action, this is the perfect cabin for your vacation. 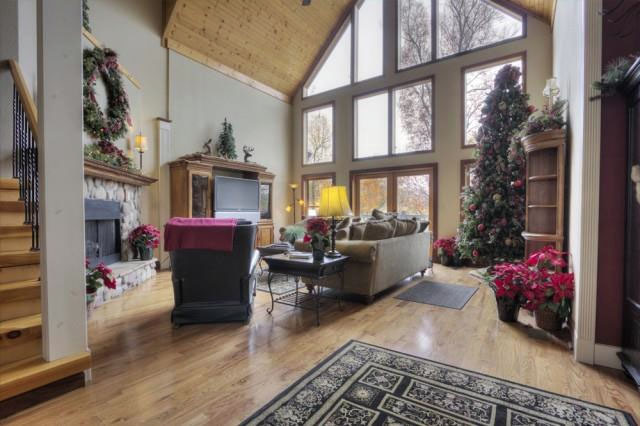 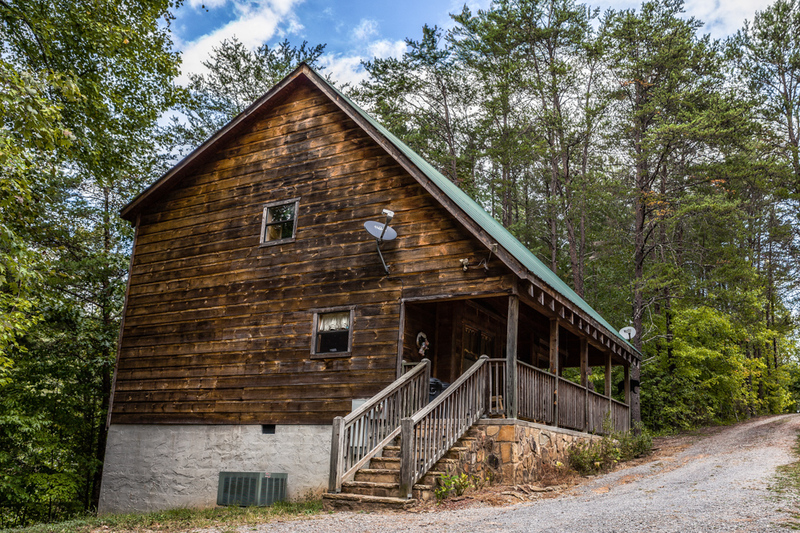 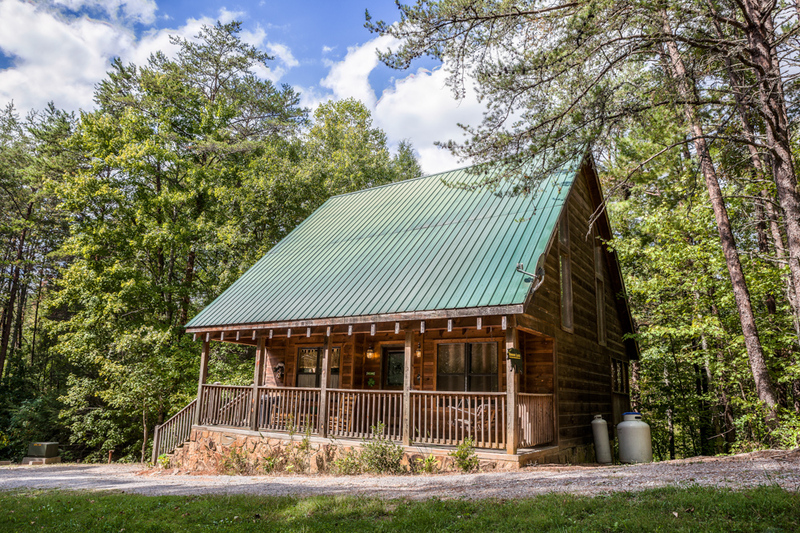 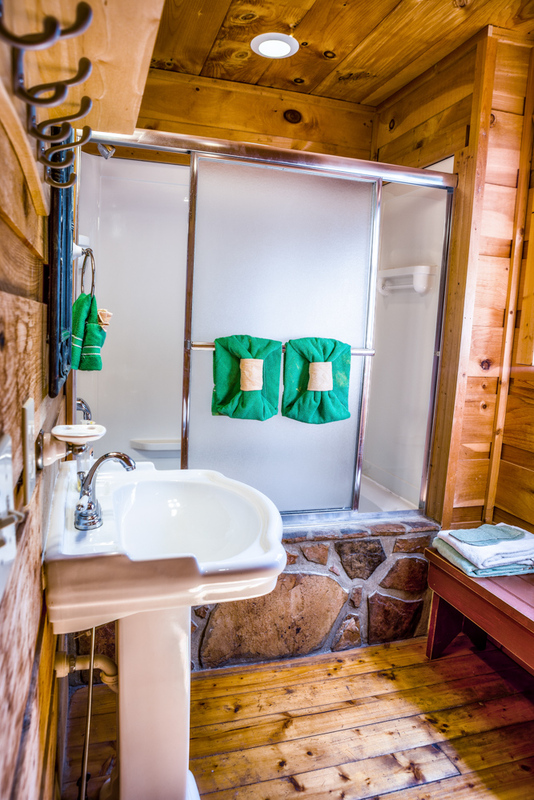 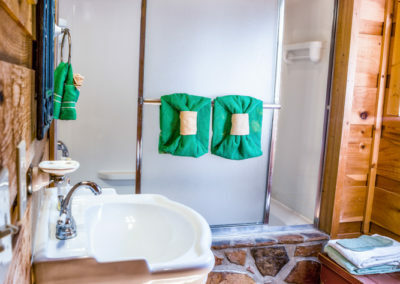 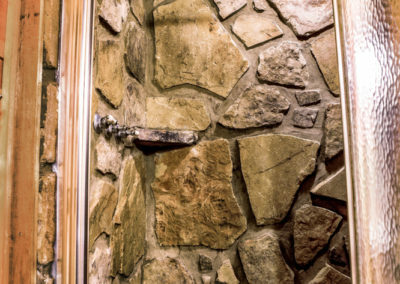 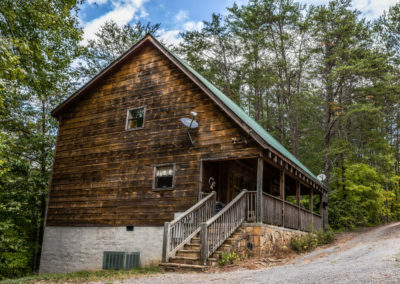 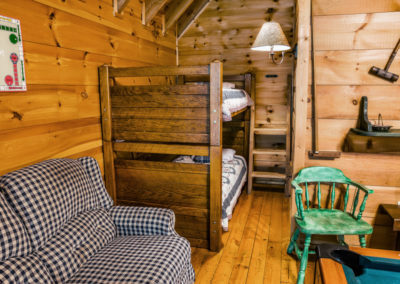 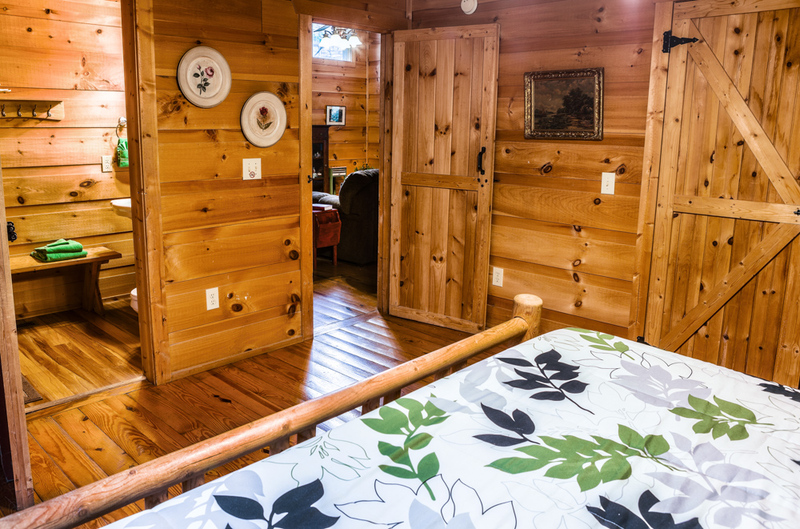 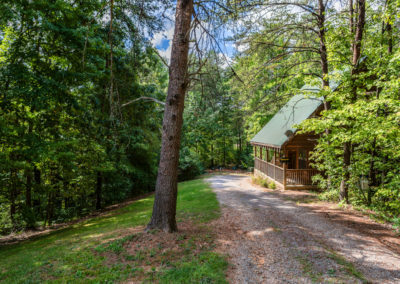 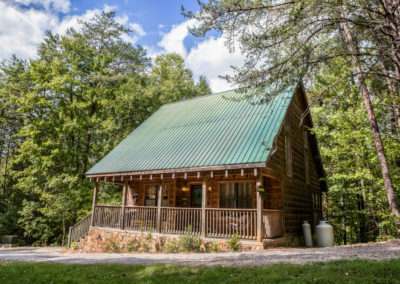 This Affordable, Luxury Cabin is not situated on a mountain top, so it doesn’t have the small curvy roads that go with that, instead it provides the same mountain hideaway feeling, while remaining VERY CONVENIENT to all that the area has to offer. 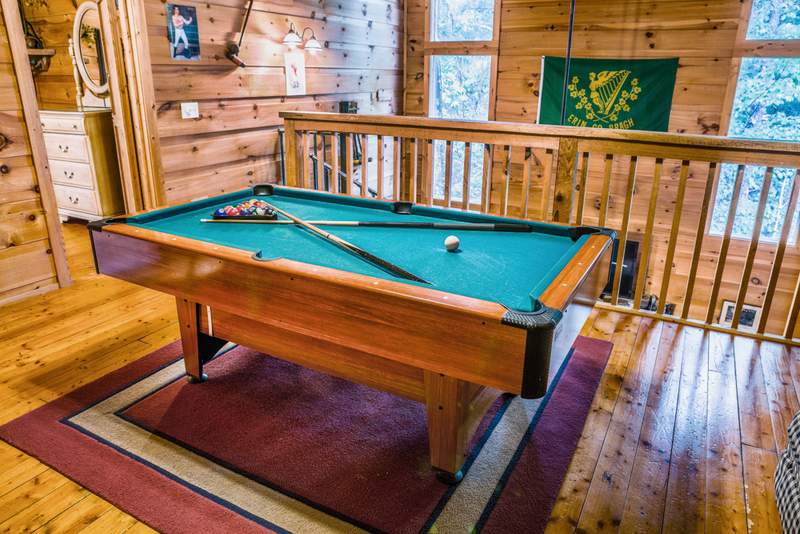 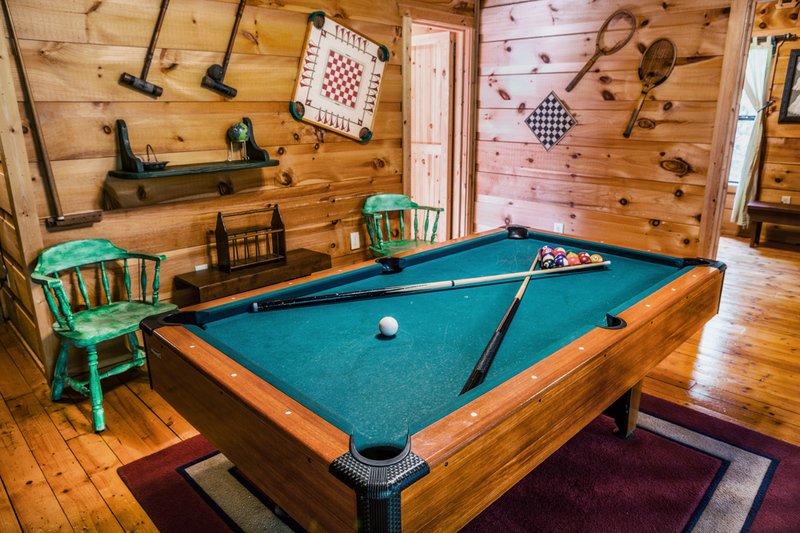 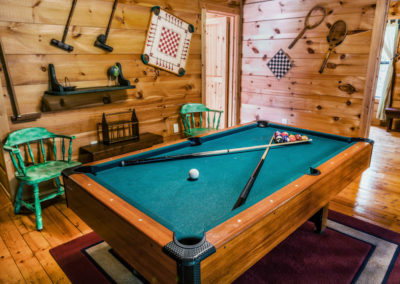 At the cabin you are only two minutes from the parkway, and the parkway is where all of the entertainment is! 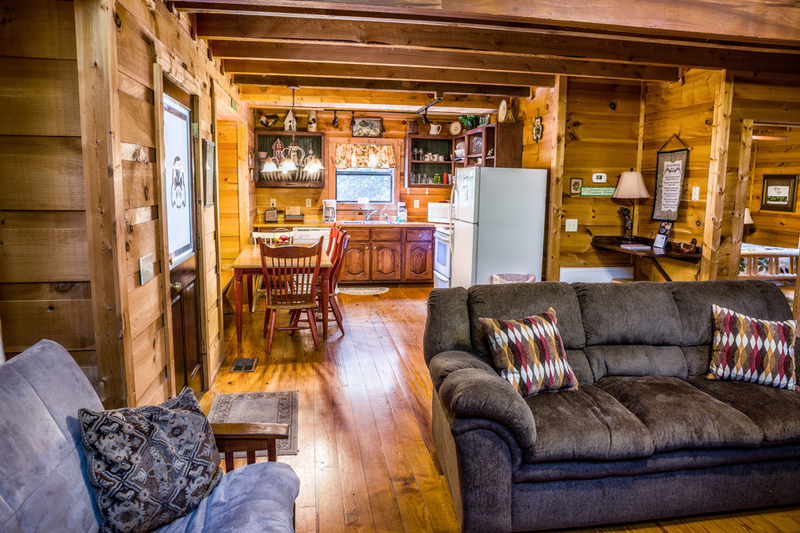 The Bonnie Lass features 3 bedrooms. 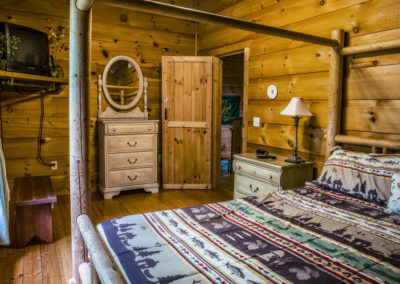 The master bedroom downstairs has a king size log bed, also a private bath that has a very uniquely designed stone laid shower with a waterfall inside. 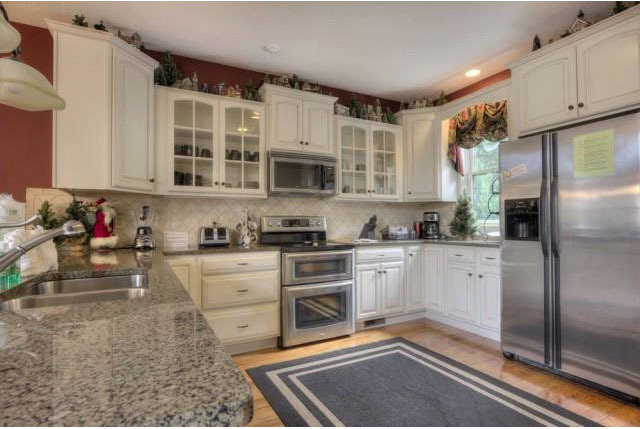 Also on the first floor is where you will find the fully stocked kitchen, and the living room. 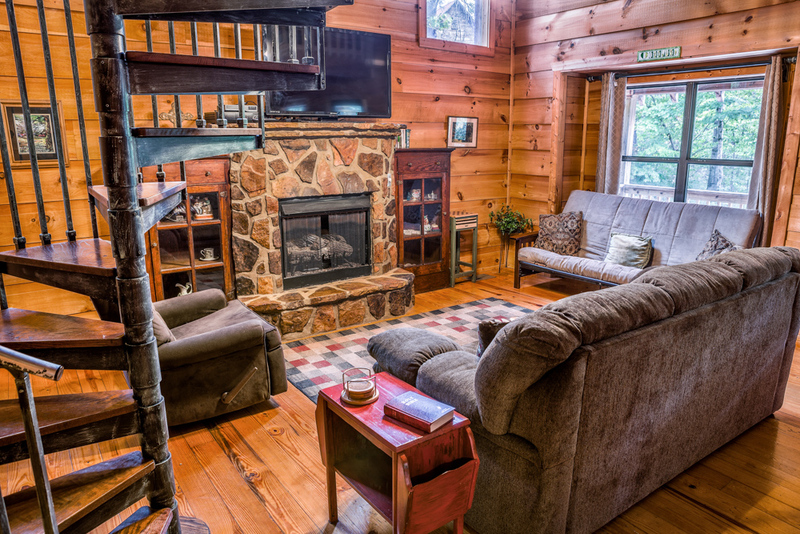 The living room sofa features a convertiable bed. 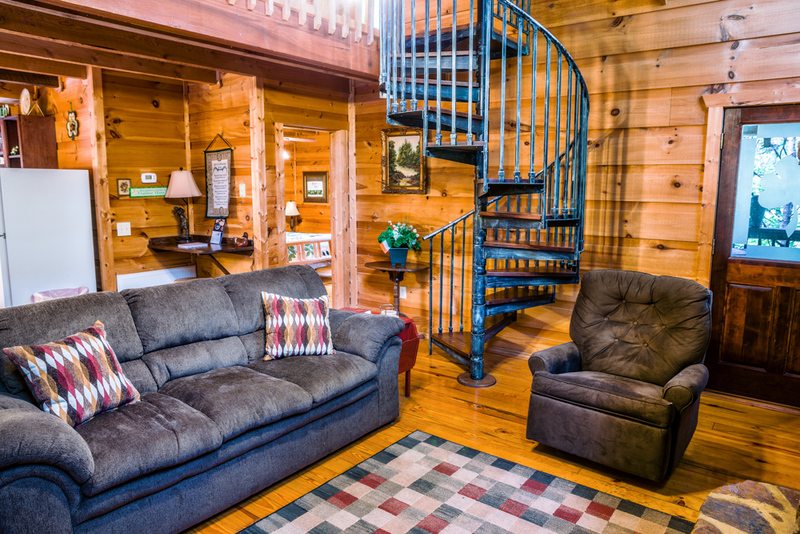 A fun spiral stair case leads you to the 2nd bedroom and loft area. 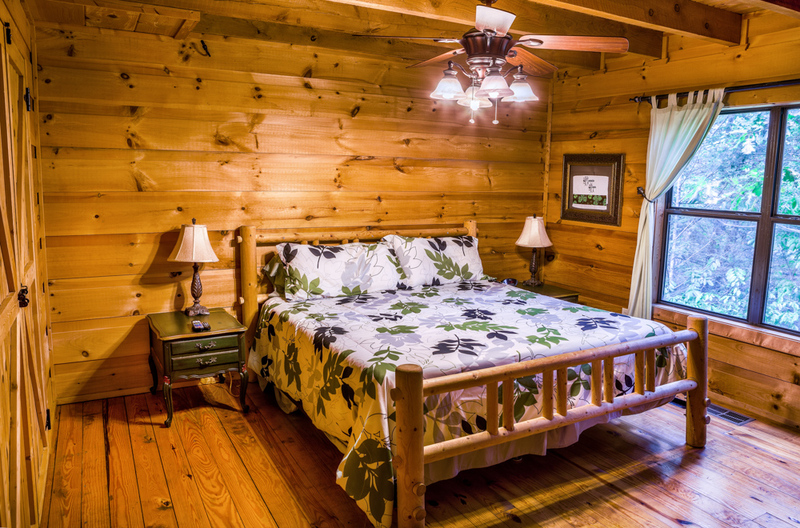 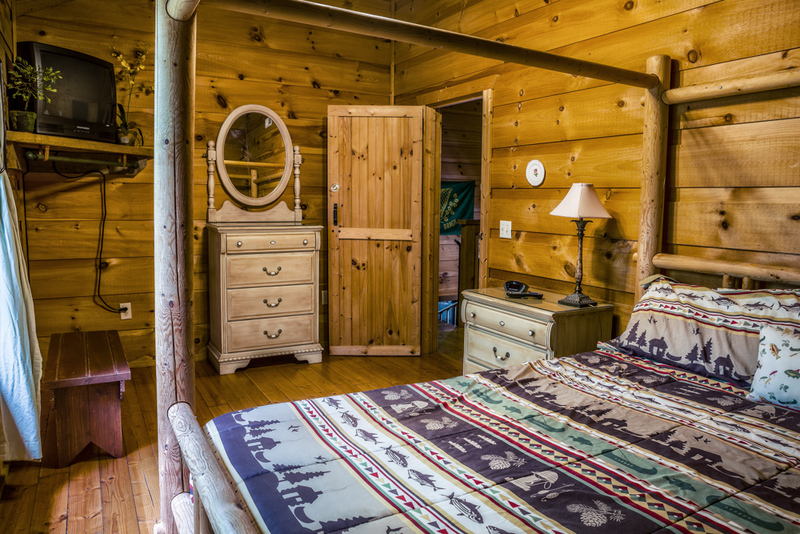 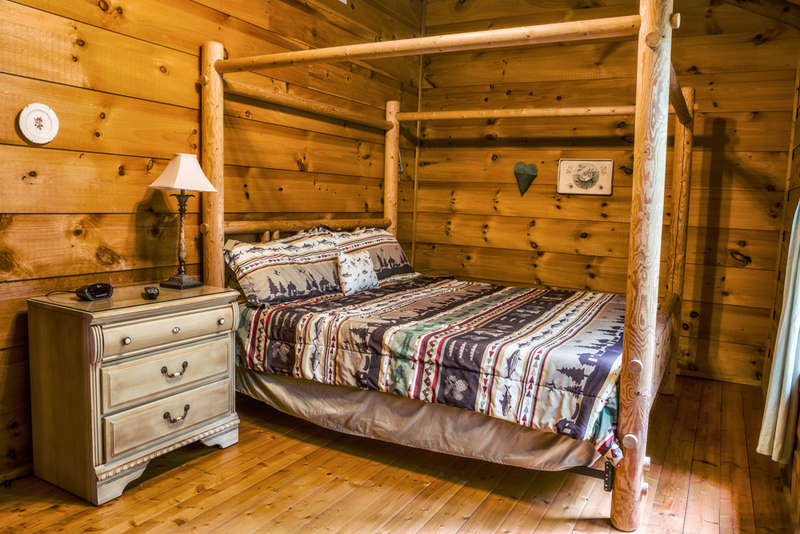 The 2nd bedroom also features a king size log bed and the bathroom on that level has a Jacuzzi tub for soaking. 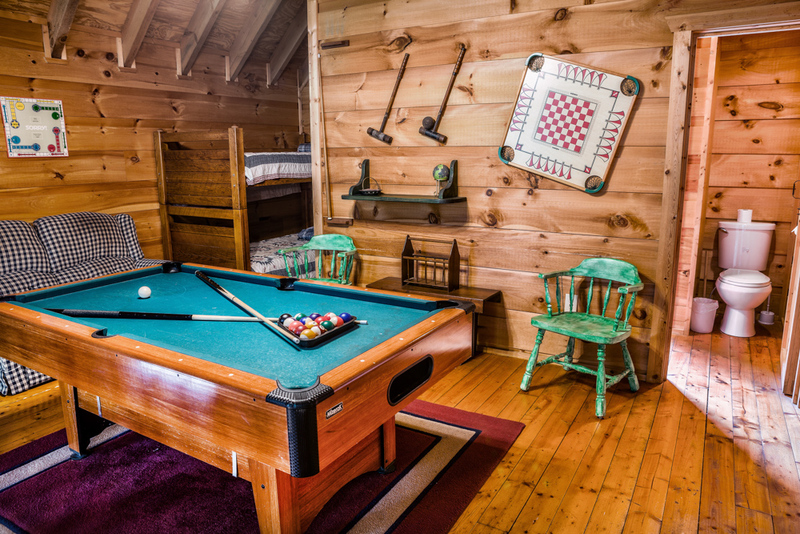 The loft doubles as the 3rd bedroom and games room. 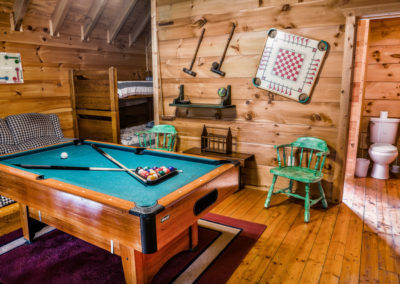 It holds a set of bunk beds and the pool table. 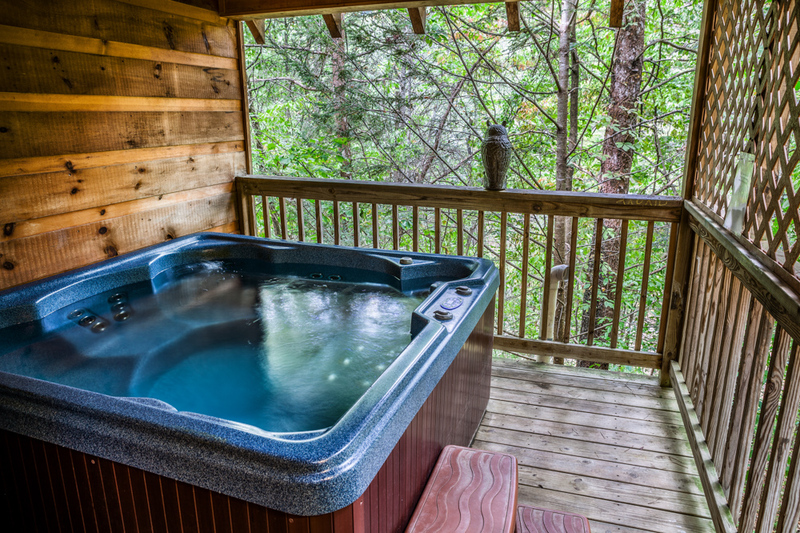 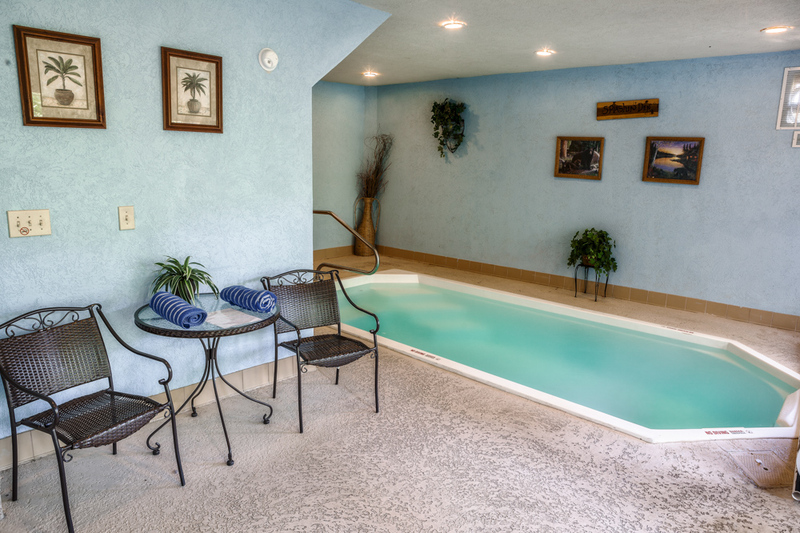 The 2nd bathroom has a Jacuzzi tub for soaking and relaxing. 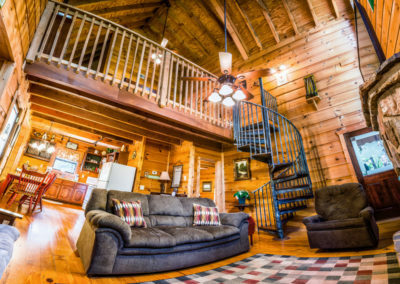 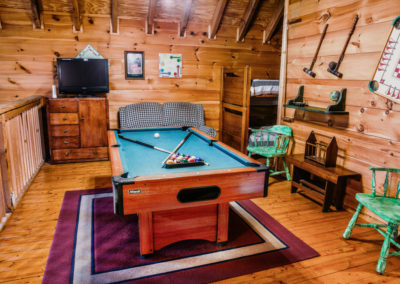 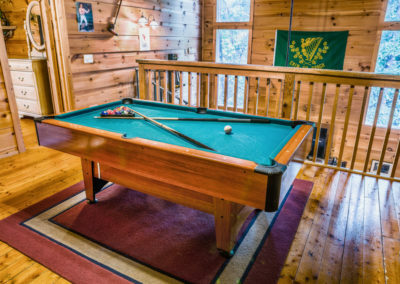 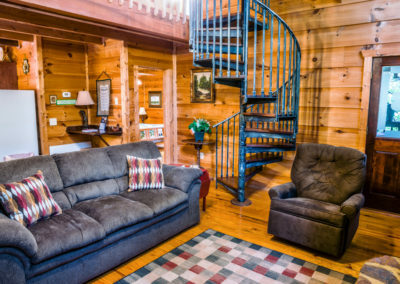 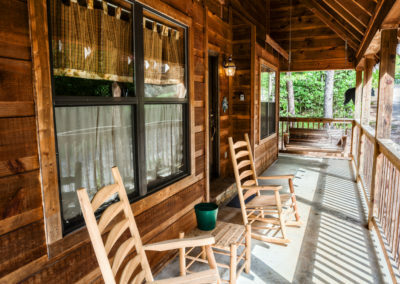 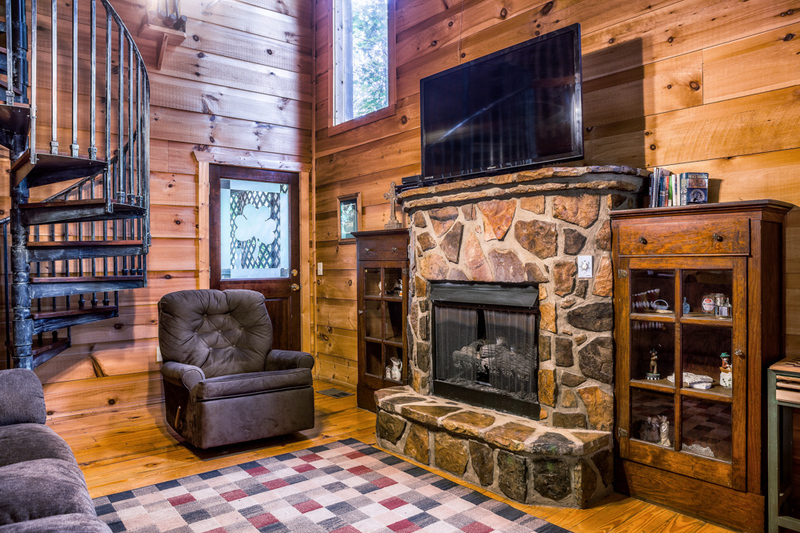 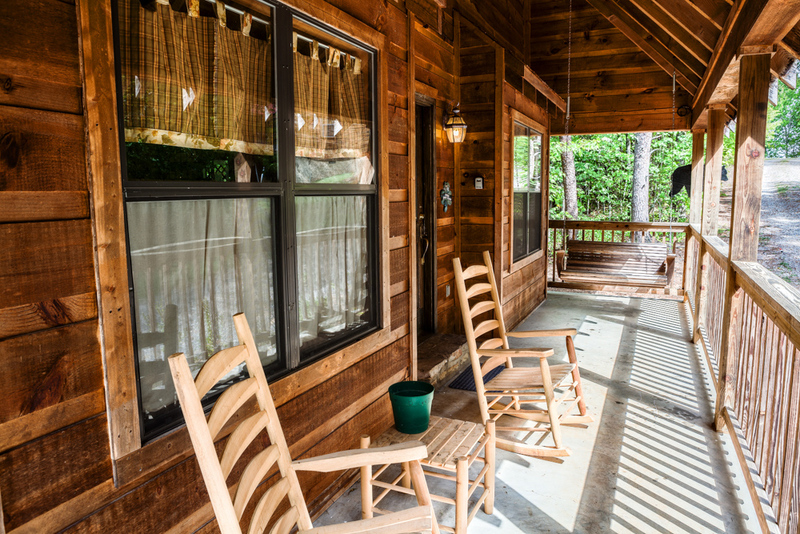 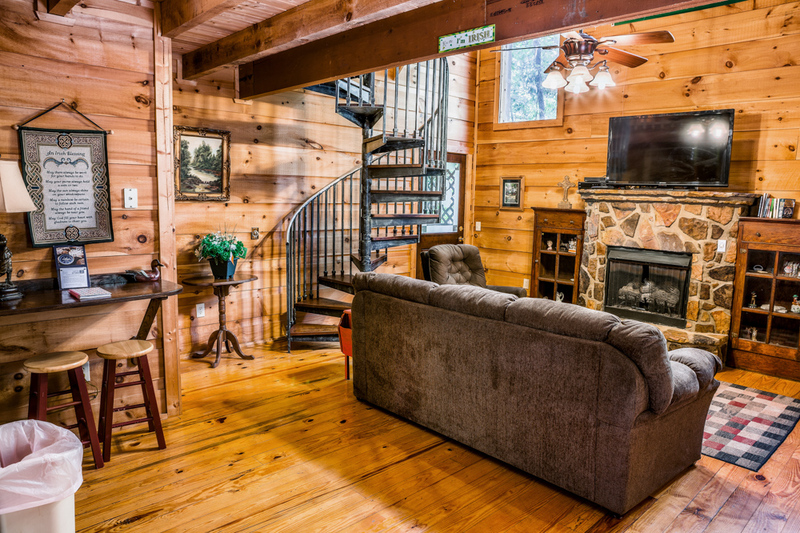 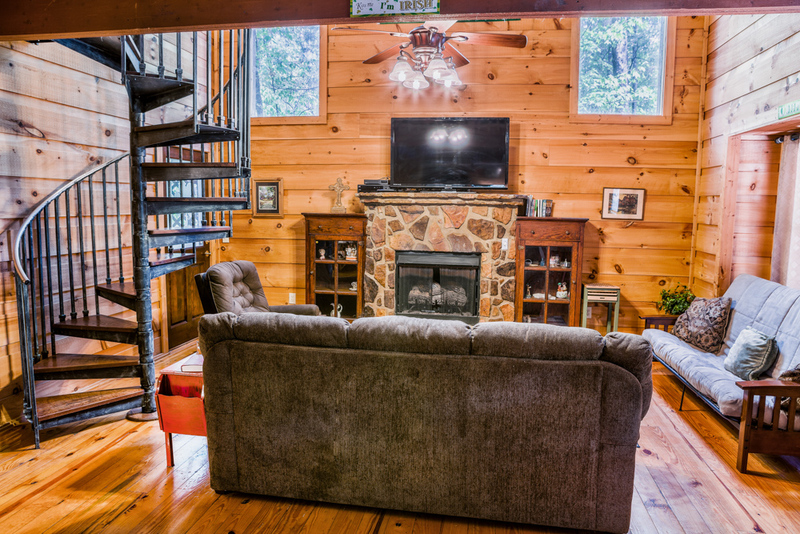 Large covered porch with Rocking chairs and a porch swing, a very private fire pit, Wii game system and a hot tub for relaxing are more of the features that provide that vacation you need, you won’t have to leave unless you just want to! 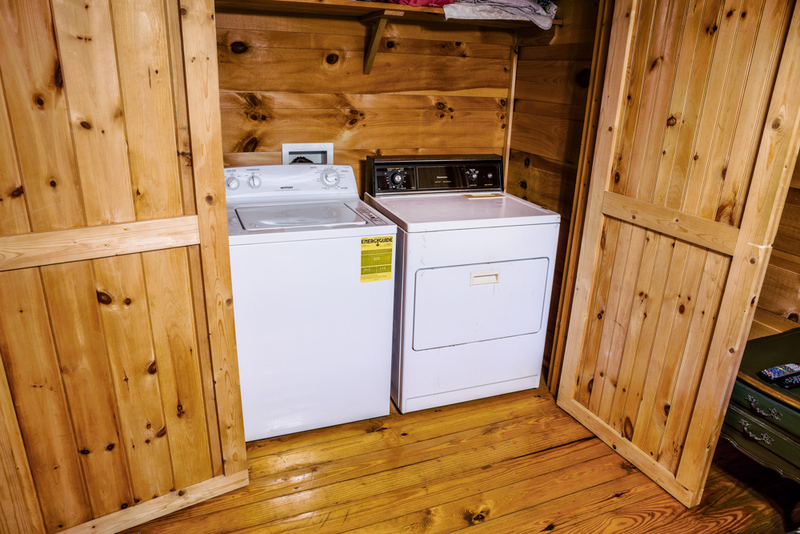 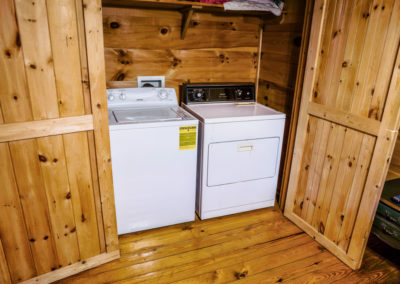 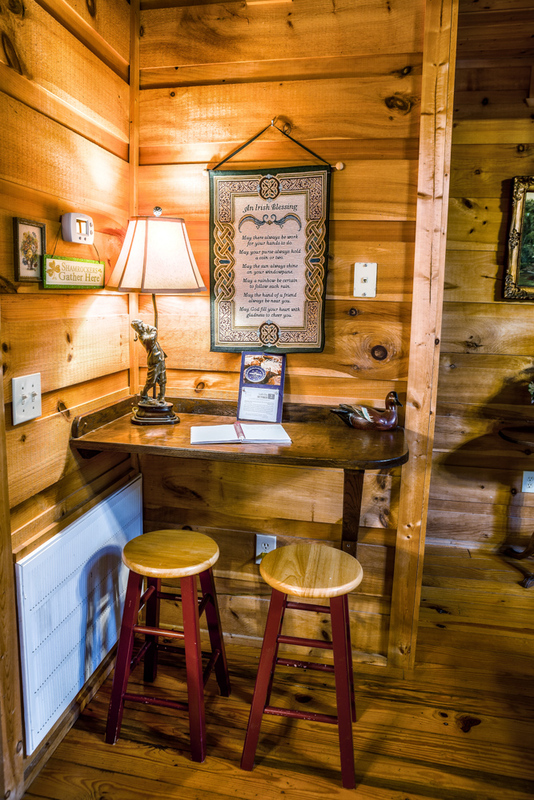 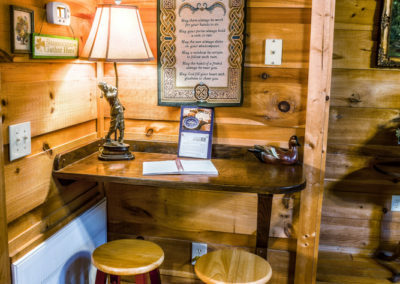 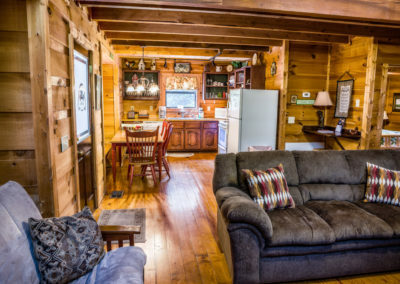 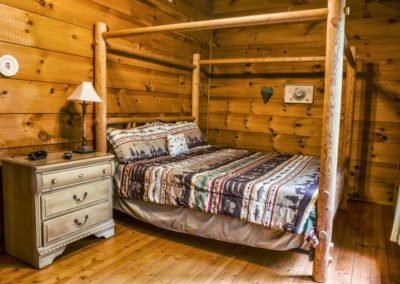 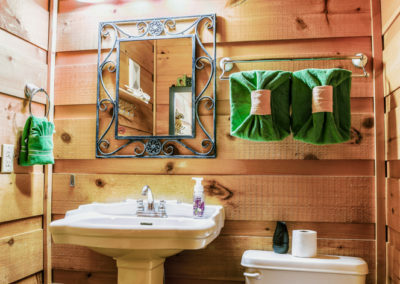 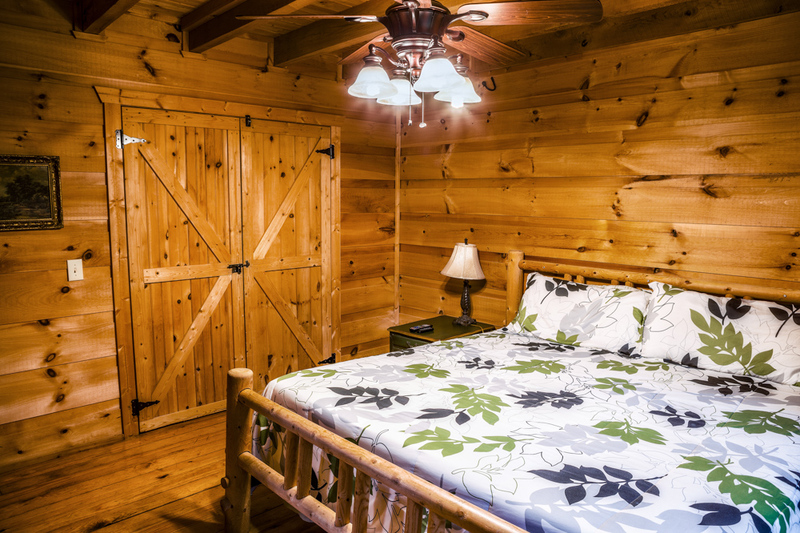 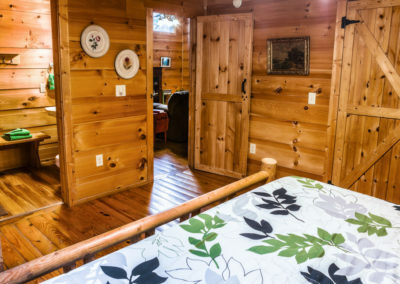 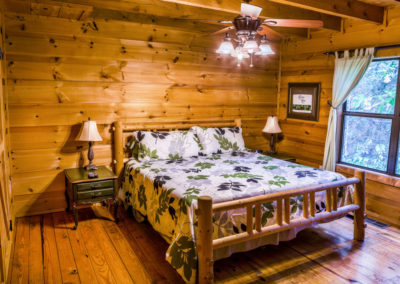 This cabin is located close to Dollywood, Pigeon Forge and Gatlinburg – It is just about 1/2 mile from the parkway in Pigeon Forge – In just about 2 minutes from the cabin you can be on the parkway – turn right for Gatlinburg (only 5 miles away) or turn left to Pigeon Forge restaurants, activities and night life and Dollywood. 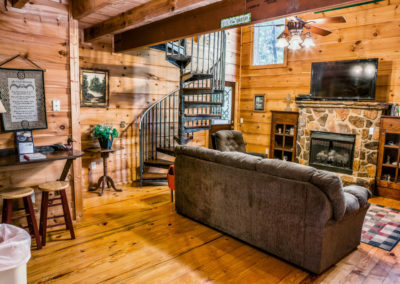 Come here and enjoy your mountain getaway!